On 5 May, in the midst of the Sarawak state election campaign, a helicopter crashed in the jungle and killed five people, including the Malaysian Deputy Minister for Plantation Industries and Commodities, Datuk Noriah Kasnon, and the Member of Parliament for Kuala Kangsar, Sundaran Annamalai. This means that the political acrimony that elections whip up will persist for a while yet since two simultaneous by-elections will now have to be held. This is not to say that the Malaysian political scene needs any help in staying rancorous. The by-elections – in Kuala Kangsar in Perak state and in Sungei Besar in Selangor – are scheduled for 18 June; but while technically minor battles, they are part of bigger political wars being fought in Malaysia at the same time. These conflicts were adequately demonstrated on 17 May when Anwar Ibrahim, the jailed leader of Parti Keadilan Rakyat (PKR) and unofficial opposition leader, issued an eight-page letter to his followers to exercise caution and wisdom in following the lead of his long-time nemesis, former Prime Minister Mahathir Mohamad, in the latter’s attempt to unseat Prime Minister Najib Razak through signed support from over a million Malaysians. Many from the opposition and from civil society groups have indeed given open support for Mahathir’s Citizens’ Declaration, helping it to go already beyond the million-signature target. In essence, the key points of Anwar’s letter were firstly a pronouncement that he “is inclined not to be seen to be uniting with the Citizen’s Declaration group, and to start to set a distance”; and secondly to state that the Declaration was “Tun M’s document, effective and incoherent viewed in the context of reform”. The distrust between the two men is obvious and understandable, but there is also fear of Mahathir effectively usurping the role of opposition leader. Beyond the noise, these events send out obstinate signals that tell us something profound about Malaysia’s present socio-political situation. Only diehards now imagine that significantly more non-Malay support for the opposition than it so impressively garnered in the 2013 elections is forthcoming. In the recent Sarawak state election, it was the Democratic Action Party – a basically Chinese party that is trying to be re-recognized as a multiracial one – that was the main loser. It had been hoping to show that it could win votes from Sarawak’s diverse communities but instead it fared dismally in failing to maintain the increments in support from the Chinese and the indigenous peoples which it had enjoyed for at least three successive elections. This, among other developments, should lead us to reconsider the present political landscape of the country. What we have been seeing in the last two decades – perhaps since the fallout between Mahathir and Anwar in 1998 – is persistent socio-political diversification in the Malay community. This is expressed in the founding of at least two new Malay-based parties, in the fervent establishment of Malay-language magazines, newspapers and publishers, and in the apparent crisis in Malay leadership. And that is not considering the rise of social media and web news sites. In this context, the coming by-elections carry great significance. The DAP already realizes that its role can only be supportive because these are Malay majority seats. What becomes manifest then – and this reflects the larger national picture – is that these battles will be totally between Malay-based parties and between Malay personalities. The results of these by-elections promise therefore insight into how the Malay ground in the key states of Selangor and Perak has been affected since the 2013 general elections by Premier Najib’s turn to the right, by the many scandals involving him, by the top-level strife within the all-powerful United Malays National Organisation (UMNO), by the breakup of the opposition Pakatan Rakyat coalition, by the split in Parti Islam SeMalaysia (PAS) which led to the formation of the more progressive Parti Amanah Negara, by the second jailing of Anwar Ibrahim, and by Mahathir Mohamad’s Citizen’s Declaration, which has seen him performing more and more like the opposition leader. And most importantly, they can give an indication of how the political sentiments of rural and semi-urban Malays have been affected by their economic travails of recent months; and how much of these will be blamed on the implementation of the GST and the government’s general mismanagement of the economy. PAS, which lost narrowly in 2013 to UMNO both in Kuala Kangsar, where the Malays make up 68% of the population, and in Sungai Besar, and which is now without official coalitional ties, wants to contest against UMNO again in both cases. Amanah, its breakaway party, sees a chance here to test its potential for the first time since its recent founding, and may be willing to compromise and concentrate on one seat and leave the other to PAS. But even that is not certain as yet. And Anwar’s PKR, which runs Selangor state, may not be too willing to play merely a supporting role in Sungai Besar. Mahathir in turn has surprised everyone by taking the liberty to call on the opposition parties to avoid three-corner fights and to focus on the task at hand—which is to defeat his own former party, UMNO. He had in nearly April, astounded many by calling for “foreign interference” to oust Najib. His latest statement, however, had him sounding like a self-appointed leader of the opposition, and this may have precipitated Anwar’s eight-pager to his followers. What may have forced Mahathir’s hand could be the concern that he should now have that Premier Najib, buoyed as he already is by Barisan Nasional’s landslide in Sarawak, may be intensely tempted to call for snap general elections should the BN win the by-elections with strong margins. 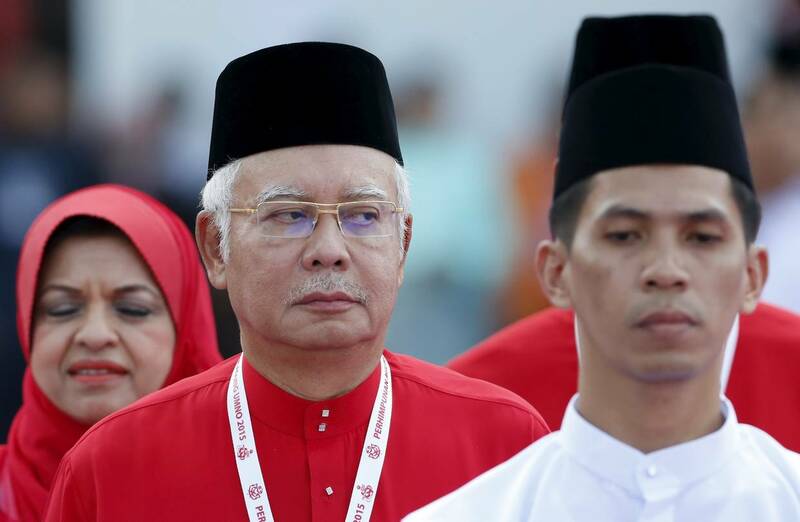 A bad show by both Pakatan Harapan (represented by Amanah) and by PAS in the coming by-elections would confirm voter disenchantment with the opposition and with their agenda for change, and that would convince Najib that a snap election is to be preferred. Should he then lead the BN to a new federal mandate, and if that turns out furthermore to be a stronger one than what he had in 2013, then any hope by his detractors to remove him would be buried. « Sarawak forces federal opposition to do deep soul-searching. But can it?